Love the benefits – The Customer gets many perks that can be used, like a free drink after every 12 purchases, and discounts or freebies on little amenities such as no extra cost for Soymilk. However, think what Starbucks gets. They get to build a database on their Customers, see who spends how much on what, have hard data on their top Customers all over the world, and they get prepaid millions of dollars. People have to pre-load these cards to use them. 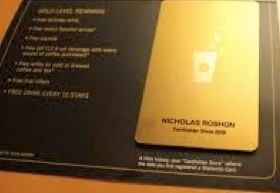 I, for example, have my Starbucks Gold card set to automatically reload to $100 from my American Express, once my Gold card goes under $10.00. This is brilliant! Many times they get their Customers’ money two or four weeks prior to redemption. 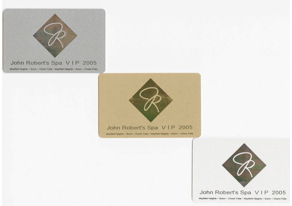 To receive rewards, a person registers online by providing his or her e-mail address. As a result, Starbucks builds a rich database that they can use to better understand their Customers’ behaviors and reward them accordingly. The database also allows them to reach out to Customers in meaningful, cost-effective ways.